NCA designed extensive renovations and additions to an existing intermediate school to create the new Pojoaque Valley High School. The design created the new high school around a unified school campus. 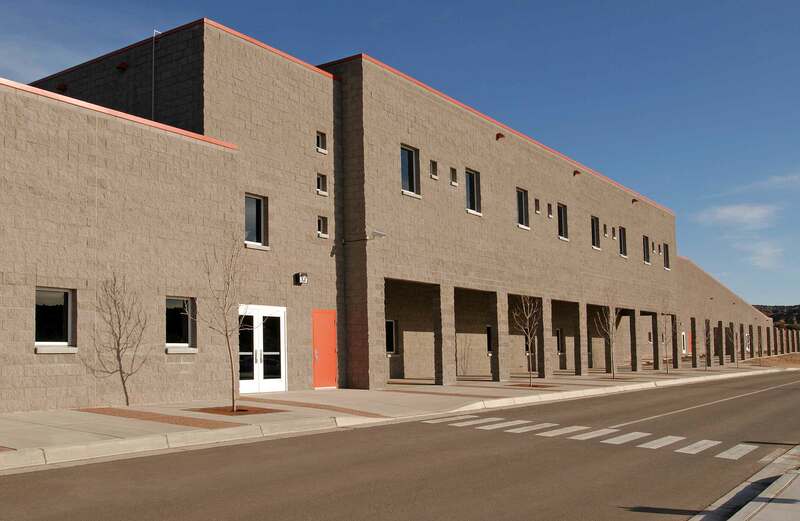 The existing buildings were completely renovated, including upgrades to meet code and ADA requirements, new mechanical/ electrical systems, new finishes, and a remodel of classrooms to accommodate high school needs. Circulation zones were designed as learning spaces, turning corridors into places for children to conduct experiments, act, and display their artwork. 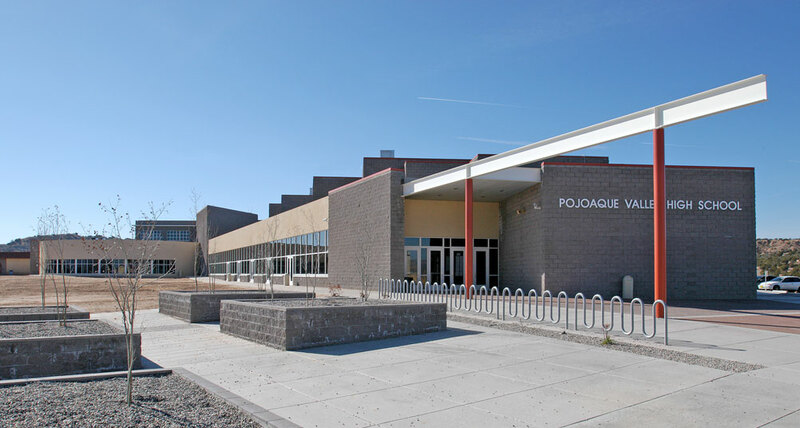 The community of Pojoaque decided that it didn’t want another “brown box”, but rather it desired a facility that would serve to honor education and make a statement that reflects the community’s dedication to the education of its children. It was important to the community that the school remain “in touch” with the surrounding environment. Glass was used to capture the outdoors, frame mountain peaks, and assure that natural daylight was abundant.